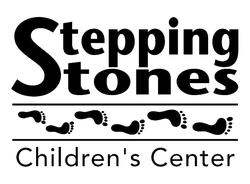 Since first opening the doors in August, 1995, Stepping Stones Children's Center has been committed to providing a strong developmental and educational foundation to children in Northern Ozaukee County and surrounding areas. Our Center is licensed by the State of Wisconsin to care for children ages four (4) weeks to thirteen (13) years old. We can care for up to 100 children at our Belgium location and 65 children at our Port Washington site. We strive to exceed the minimum standards for child care centers. These standards relate to our facility, programs, staff, health and safety procedures, nutrition, ratios, and record keeping. State licensing specialists routinely inspect our Center. Licensing reports are posted above the parent table in both locations. Please feel to ask any questions you may have regarding these reports. The Licensing Book and Center Policy Handbook are also available on the parent tables for your review. We believe that licensing and rigid enforcement of standards are in the best interest of all the children enrolled in our Centers. The Centers are open Monday through Friday from 6:00 am to 6:00 pm.